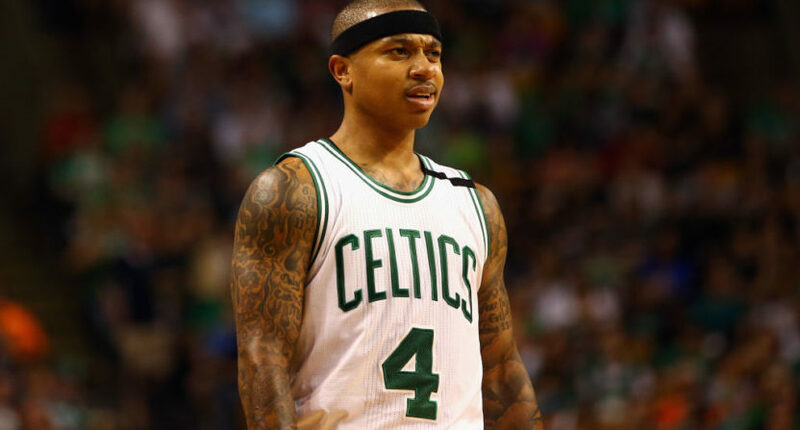 While the Cavs and Celtics trade swapping Kyrie Irving and Isaiah Thomas remains up in the air, Thomas has been clear that his hip injury is nothing for NBA teams to worry about. He’s confident he’ll return as the same player once he finished his rehab. If Thomas truly comes back as the same player next season, then the Cavs are in great shape. In exchange for Irving, the Cavs received Thomas, veteran forward Jae Crowder, young 7-footer Ante Zizic, and the Nets’ 2018 draft pick. Thomas had a better season than Irving last year and made the second-team All-NBA, averaging 28.9 points. For a while, some folks put him in the MVP conversation. (He ultimately finished fifth in MVP voting.) One big plus for the Cavaliers in this trade is Thomas has only one year remaining on his contract. Should LeBron James leave in free agency, as many people expect, Cleveland can simply cut Thomas loose and go for a full rebuild, using the Nets’ 2018 draft pick as a springboard. It’ll also be less embarrassing for the NBA Store if this trade goes through because they prematurely promoted Thomas’ Cavs gear and Irving’s Celtics gear.